Item # 283835 Stash Points: 1,999 (?) This is the number of points you get in The Zumiez Stash for purchasing this item. Stash points are redeemable for exclusive rewards only available to Zumiez Stash members. To redeem your points check out the rewards catalog on thestash.zumiez.com. Be aware of more than just your own life. 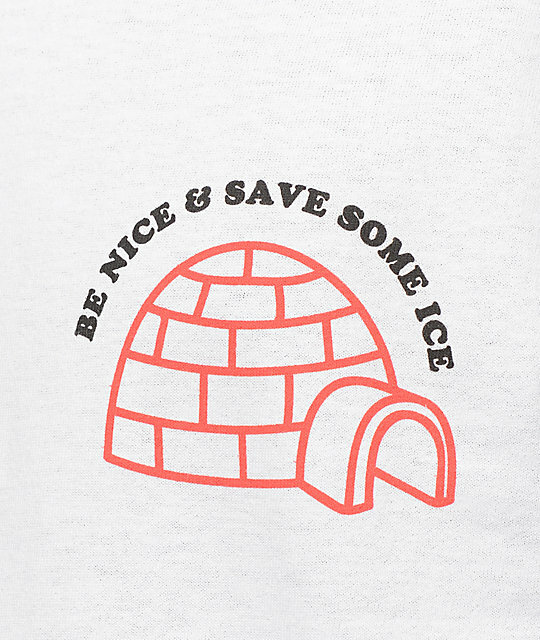 The Save The Ice tee from A-Lab draws attention to the ever changing climate and melting icebergs. 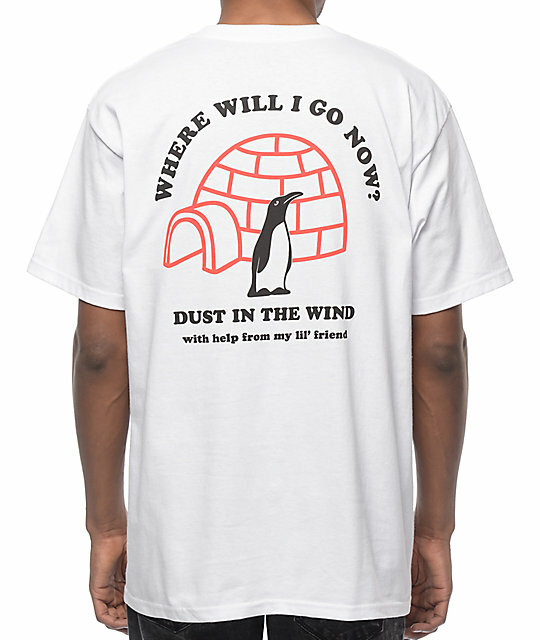 The all white tee features a red igloo with a penguin hanging out along side it with "Where Will I Go Now?" in black arching text above and "Dust In The Wind with help from my lil' friend" below in matching black text. 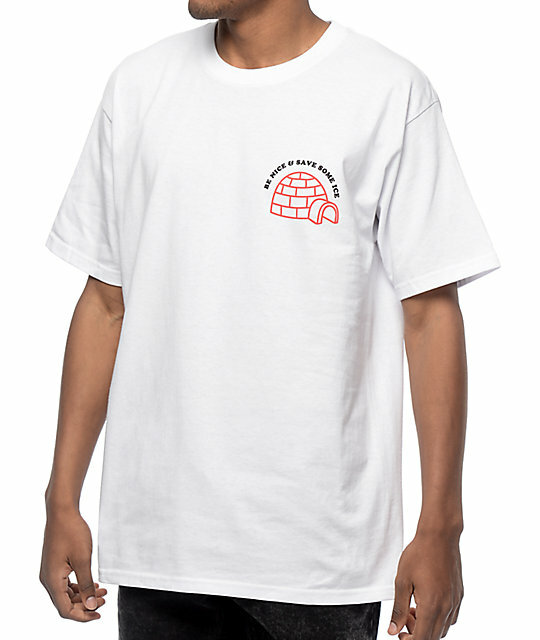 Save The Ice White T-Shirt from A-Lab.